Punggol, Hougang and Sembawang will build four new-generation neighborhood centers to provide residents with more shopping, dining, leisure and community activities. These new neighborhoods will be completed by 2020. The Housing Development Board recently announced the design concept of the four neighbourhood centres. There are two new generation neighborhood centers in Punggol New Town, the Northshore Plaza in the North Shore HDB area of ​​Punggol, and the Oasis Terraces adjacent to the Punggol Waterway. The neighborhood of Buangkok Square is close to the Buangkok Square, and the Canberra Plaza in Sembawang is opposite the built-up Canbera MRT station and upcoming Canberra Link EC. The biggest feature of the new generation of neighborhood centers is that they have a covered community plaza for organizing various community events. These neighborhood centers also have community public spaces such as gardens and playgrounds. These neighborhood centers also enhance connectivity with surrounding facilities. For example, the community plaza in the neighborhood of the World Square is integrated with the neighborhood park in the HDB district, and the neighborhood center is connected to the new one by the airway. The three neighborhood centers of North Shore Plaza, Oasis Terrace and Canberra Square are also higher. An aerial walkway on the ground that connects to a nearby subway or light rail station. In order to better meet the needs of residents, HDB also collects residents’ opinions and discusses the types of shops and facilities they want through group discussions and questionnaires when planning these new neighborhood centers. Well, Sumang Walk EC being the only new launch EC (Executive Condominium) in 2019, attracts lots of attentions. The accumulated demand is true, the supply is scarce. But, some factors needs to be factored in before you decide to purchase Sumang EC. Punggol, the furthest estate in the northeast, is separated from Pasir Gudang, Johor by the Straits of Johor. As Pasir Gudang is the industrial area of Johor, people living in Punggol are occasionally the first in Singapore to be exposed to unpleasant smells coming from factories over there. The gross permit-able area to build should be fixed bah, they build 2 br or 3 br, the max area should be fixed so i guess its up to the developer to decide how they want to build..
More likely i’m thinking they will build smaller size 3 bedders to accommodate the income bracket for ECs, don’t think they will build 2 bedders, how many local families will want to stay in a 400-500sf 2bedder ? Reason why CDL can afford to bid so high maybe because they have leftover materials in the vicinity or they buy in bulks so the cost is cheaper (coco palms/tapestry) . Many will have no choice & accept the smaller units in new ECs soon like in private condo. Buy old units to have bigger space then . The cost is land >> material. Expect cheaper material. No more branded materials / no this no that. Apart from these comments, there are some good experiments done. E.g., the distance to the waterway point is only 7-min in leisure walk. Check out this video & stay tuned. This review presents the en bloc project: Affinity at Serangoon. In fact, it is Serangoon North for its location. Affinity At Serangoon is a joint venture by Oxley-Serangoon, comprising major players including Oxley Holdings and Lian Beng Group. 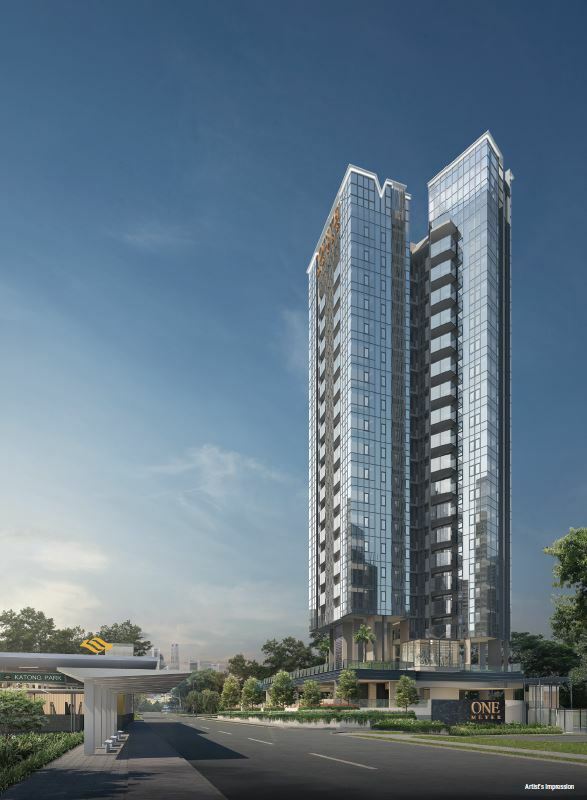 Lian Beng Group, a company starting as a construction company, will assure quality architectural design for Affinity At Serangoon, topped by Oxley Holdings, a highly reputable local developer. This new condo project sits at the former Serangoon Ville HUDC in Serangoon North Avenue 1, which was sold en bloc in July 2017. 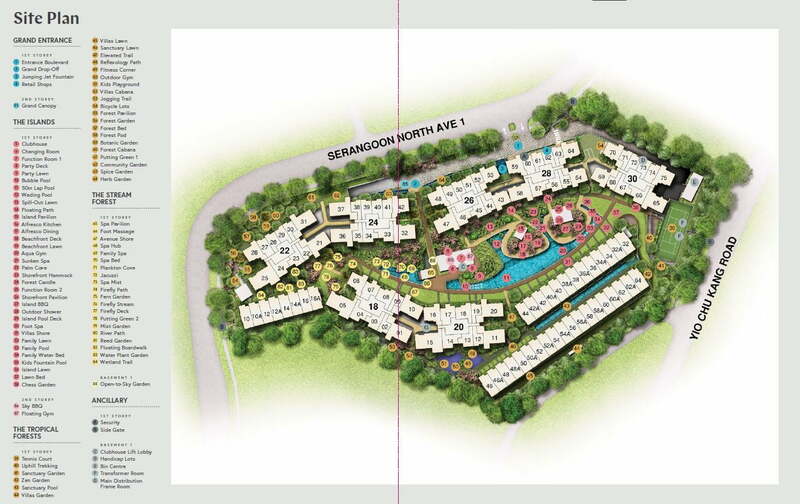 Affinity At Serangoon is situated at the corner of Serangoon North Avenue 1. Drivers will immediately see this condominium if traveling from Yio Chu Kang Rd to Sengkang. Hailed by many pet lovers, Serangoon North Avenue 1 is reputable islandwide for its many shops selling pets and their services. Staying with pets in this condo will save pet owners trouble bringing their own pets far from home for their regular check-ups. While Serangoon is known as a matured estate in the north of Singapore, Serangoon North itself is less populated when comparing to Serangoon Garden and Serangoon Central. It is not within walking distance to Serangoon MRT. To counter that, developer will be providing two-way shuttle bus services transporting residents to nex/Serangoon MRT and bus interchanges. This is the digest based on the latest review of One Meyer condominium by newlaunchguru.sg. The much desired new condo of Q1/2019 has finally arrived! One Meyer, a super rare freehold luxury condo project situated right in the center of East Coast (Meyer Road) in District 15, one of the most prestigious and upmarket districts in Singapore. What’s more, this new launch is also one of the few condos in the area where residents can have vantage sea view without the traffic noise coming from ECP, thanks to the Katong Park standing in the front. According to JLL who participated in the deal of One Meyer, this was the first attempt the residential property was offered for sale. This attractive area obtained bids from over a dozen property developers ranging from small to big companies. Many reasons could have led to that situation. In the first place, One Meyer is well situated close to the future Katong Park Station target to operate by year 2023 which is part of the Thomson East Coast line. Next, the site has a seafront and terrific clear view of the Katong Park, only 5-stop away from Raffles Place and Shenton Way. This will allow the future residents of One Meyer who are cycling enthusiasts to go to the CBD via the cycling track of the beach. Sustained Land Ltd successfully won the bid with S$69 million paid. (Under|According to|Based on} the Master Plan, One Meyer site occupies 23,400 sq ft with an allowable GPR of 2.1, and its land rate translates to around S$1409 considering the development charges as well. Sustained Land plans to develop the 10-storey high One Meyer into an eighteen to twenty-four storey high housing up to 65-unit with average size of 753.5 square feet each. The gross profit ratio(GPR) is going to increase from the current 2.09 to 2.1 subject to URA’s review and approval. One Meyer sits at the junction of Meyer Place and Meyer Road in Katong which is a place exclusive to private condominiums. Lots of transport options are available to get to One Meyer, be it public or private. Long travelling time by bus to other parts of Singapore will be shortened with the completion of Thomson-East Coast Line in 2023. One Meyer will be served by Katong Park MRT, right at the doorstep. Driving to many places of interest in Singapore is also quick with Singapore Sports Hub less than 7 minutes and CBD/Changi Airport no more than 15 minutes via highway. While 23,400 square feet is not classified as a big condo project, One Meyer offers privacy and exclusivity. This one block condo with the glass facade look will for sure be the stunning jewel in Mayer Road. With reference to price list of 2-bedrooms, One Meyer should be a good buy if it is launched about S$2300-S$2400 according to comparative market analysis. A 99-year leasehold condominium Seaside Residences which is transacted at average of S$1900 per square foot, is situated in the opposite end of East Coast. As for cons – as a small condominium means One Meyer will not get to include fancy mega facilities which other bigger projects provide, like the nearby Belvedere. City Developments (CDL) and Hong realty (a subsidiary of the Hong Leong Group) have acquired ownership of Amber Park in one of Singapore’s leading en bloc sale. Although the en bloc sale drawed attention of big participants in the industry, CDL finally grabbed the bid with Amber Park Price smacking about S$907 million in single of the largest joint venture in the region. The sale price of Amber Park CDL translates to a land ratio of approximately S$1,515 per sq ft ppr according to the allowable GPR of 2.8 without development expenses on the redevelopment. Hong real estate and Cityzens Development list the 200-unit involved with Hong realty owning a 20% stake of the project. Based on the 2014 master plan, Amber Park site occupying about 213,670 sq ft is a area for residential purposes. Each of the individual master of the condo is set to get gross purchases proceeds ranging from S$4.3 million to S$8.3 million. As the original developer of the former 200-unit Amber Park built in 1986, CDL state that they know the most what suits the area. The company aims to revitalize the place to house luxury condos including up to four 25-storey buildings with approximately 800-unit plus basement car-park, an idea pending approval. As per CDL, many of the units at Amber Park will be planned with a North-South facing orientation which allows the future residents of Amber Park condo to enjoy the awesome seaview. This future iconic landmark is expected to be a perfect investment deal in Singapore’s residential Market. The unparalleled development site is going to be beneficial to both investors and CDL for the fact that freehold properties in Singapore are becoming rare. Upon completed, the Amber Park definitely provides a perfect place for families whom work in the area to secure an amazing living space. Amber Park sits in a mature neighbourhood making it a highly sought after area. With several concurrent projects in the place, Amber Park very likely will bring many benefits to the residents. Additionally, the strategic location also allows Amber Park to enjoy the wonderful connection to other areas of Singapore as well as access to various amenities. 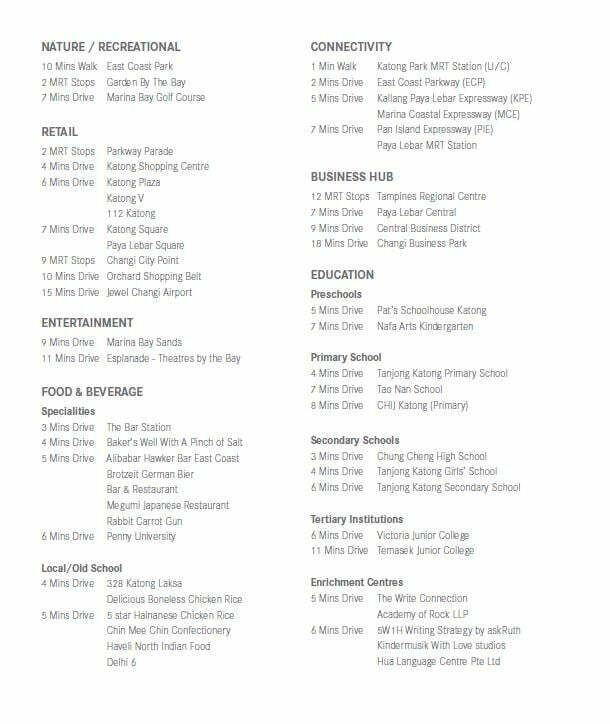 This area is well known for its rich cultural heritage and foods haunts, and is minutes away to malls like Parkway Parade and I12 Katong, and reputable schools like Tao Nan and Ngee Ann Primary, Tanjong Katong Primary, and CHIJ (Katong). Amber Road, as well as the surrounding private residential place, has long had a loyal following, from both locals and expats due to its location: minutes walk to the sea and to East Coast beach, and within 15 minutes drive from the Raffles CBD, Marina Bay, and Changi International Airport. Besides strong locational characteristics, a distinct edge of the area is its freehold status, one thing that is becoming increasingly rare in Singapore, said Mr Sherman Kwek, CEO-designate of CDL. With all these reasons as well as the clear seaview, as well as its proximity (290 metres, no more than 4 minutes walk) to the future Tanjong Katong MRT station by year 2023, strong demand is expected for this condo. City Development Ltd is a prominent real estate developer that operates in numerous places around the world. The Singapore listed company has established its presence in 100 locations covering 28 countries as well as territories. It is also one of the biggest companies with regard to market capitalization with a stable income and a different portfolio which contains serviced apartments, hotels, offices, shopping malls and integrated developments. The developer has been in the real estate industry exceeding 50 years offering services in real estate management, investment, and development. In the past, CDL has built over 40, 000 homes and it owns a lum sum of 18 million sq ft lettable floor area globally. Its key localities of operations include Singapore, Australia, Japan, UK, and China. CDL’s London based and listed subsidiary, Millenium & Copthorne Hotels plc is a leading lodge chain across the world. It has greater than 135 hotels world wide situated in key gateway cities. With 50-year proven track records, CDL has developed more than 40,000 homes world wide and received lots of prestigious awards, for example, Quality Excellence Awards, Building and Construction Authority Awards, Workplace safety and Health Awards, etc. For more than 20 years, the developer has been spending efforts on green innovations to construct bold and inspiring green buildings for a brighter future. With these proven reputation, future home masters of Amber Park should expect a luxury freehold condo to stay upon completion. Want to know more? check it out: Amber Park developer. Interest rates may for sure promptly affect the variety of purchases that are finished during any month of the year. When contemplating Haus on Handy by CDL, increasing interest rate may reduce the sales, on the other hand dropping rates will in certain help the purchases of house. This is an essential reality in the realty business as this can tangibly cause quick adjustments in gross profits from the purchases that should be run across. With this in mind, the time to buy a property that is available might be when the property market is cool. A hot real estate market will make a condominium worth much more, as her earnings will be higher in this period. Of course if you adopt this course of action, you will experience downturn in the market. An supplementary look on the purchase or start-up a realty business is the places licensing needs. The majority of deparment-in-charge impose serious demands on property representatives and brokers. Those deparment-in-charge specified steps to an occupation in the real estate company must fullfill before a business should be started. This is not a company that should be tipped into by just paying out some loan. A person can decide having her own agency, pouring considerable efforts into it. if a prospective proprietor has run out of actions, finding out an existing company to buy will very likely be the last possible attempt. A quick research of property company genres exposes that they are typically discovered in larger cities and also the asking lum sum can exceed the expectation. There are additionally resales of franchise companies. Just typing into an online search engine, “Real Estate organisations offer for sale”, developed this quick check. Buyers could also chat to company brokers as well as existing estate agent in her city. An in place real estate company is helpful because the name is already known and will obtain clients because of this. Building a company from the ground up, you do not own this advantage. An existing company with multiple areas will certainly come with a higher price tag than what you might begin your first business. The other technique to acquire ownership would in certain be buying an existing business. This may work if you have a strong connection with the current person in charge. Potential issue is you will very likely not be the decision maker. A real estate firm might become professional in purchasing as well as marketing company residential or commercial property. Indeed a broker might reduce out a particular niche that are generally unoccupied in the actual estate business. Some property companies have special divisions that work on certain kinds of real estate marketing. As technology advances with time so do other things like science, architecture, medicine, etc. There have been significant changes in all the above-mentioned spheres to provide people with quality. Technology can be said to have been improving people’s lives all over the world based on convenience. The development in architecture, for example, has made the living conditions for people much more comfortable. When it is taken into consideration that it has become difficult to purchase or build a house these days, people would rather prefer buying a flat instead. A flat or a condominium is one where the builders or developers build several floors that come. equip the necessities on each floor. In most parts of the world and most cities, these flats have become more convenient to have instead of buying a whole new house for most people. The reason can be found in the diminishing space in cities and at the same time increase in population. Developers can be found in almost all parts of the world that execute the task of building condos. For better insight on such condominium, there are new condos for sale in places like Singapore. Treasure at Tampines Showflat is an already built condominium complex that people can avail. 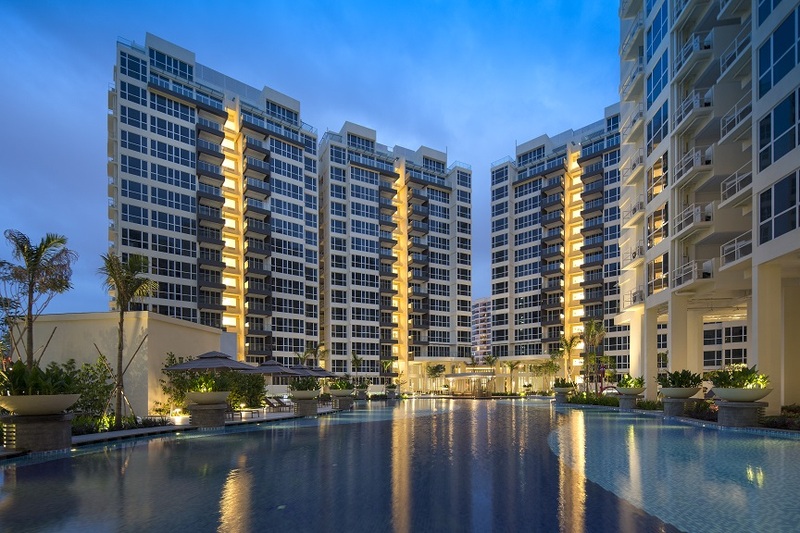 Treasure at tampines showflat has offered a VVIP discount to its customers on account of being a newly erected complex. The developers have not only built a place where people can stay but also a locality where students can go to schools; people can go shopping, etc. Tampines is not merely the name of a condominium complex but also includes a neighborhood where people can find about almost everything. For booking and availing, people can go to the website treasuresat-tampines.com. Other contact details have also been provided on the webpage so that people can also further enquire about the other options they can choose to avail. However, to get the best price out of the condos, the webpage has advised interested individuals to make appointments to get good deals.